There’s a new Humble Bundle up and it’s focused on RPGs and the Borderlands games. While that means anyone who has somehow avoided the loot’em’up can get a hold of it now – including the most recent pre-sequel – there’s also some other goodies in there as a bonus. The first Borderlands, plus all of its DLC. It’s okay, but pales in comparison to the sequel. The Incredible Adventures of Van Helsing: Final Cut. A trilogy of action RPG games about killing vampires. Wurm Unlimited. A sandbox MMO that has been running for longer than most and is packed with, frankly, incredibly weird stuff. Borderlands 2, plus all of its DLC. Particularly the DLC includes some of the most imaginative and interesting game design ever, and the base game is a laugh as well. Endless Legend. The first time Amplitude managed to get their grand ideas for 4X games to really pay off, resulting in a complex and highly original turn-based strategy. Guild of Dungeoneering. A strange take on the RPG as you build the dungeon, rather than the character. Certainly unique. 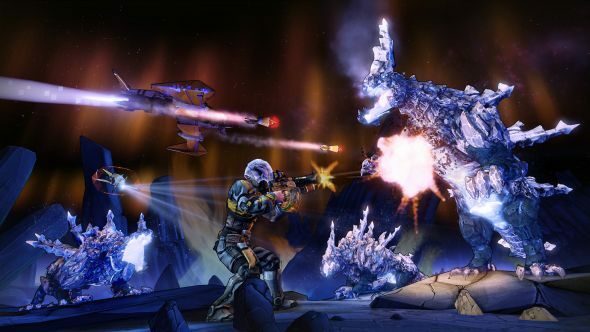 Up yourself to $10 and you also get the Borderlands Pre-Sequel. It doesn’t come with its DLC, and is the least well received Borderlands game, but if you’re a completionist or like going to the moon it’s probably a good shout. The middle tier is definitely worth it from personal experience, and if you just want the Pre-Sequel it’s less than a third of its current steam price. It’ll run for the next two weeks, so plenty of time to decide. Click here if you’d like to buy.